Today I have a special treat – for me and for you! First, I get to meet my friend Ann Goble for lunch. We try to do this every once in a while – not nearly enough! 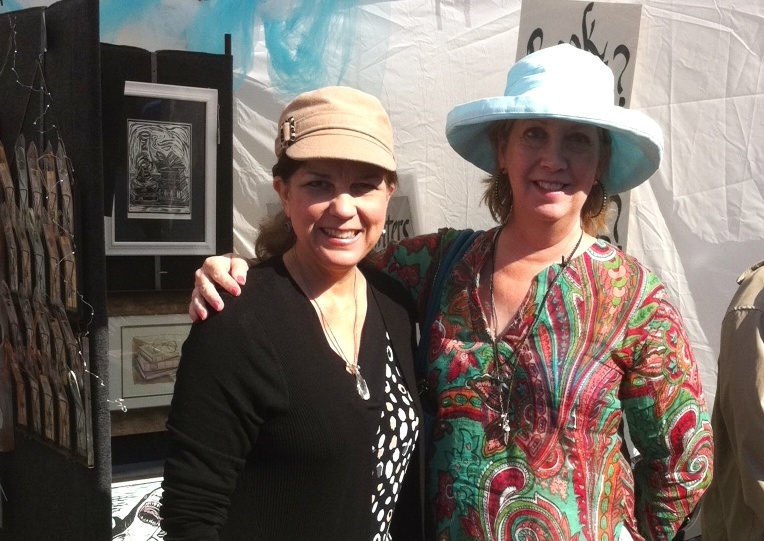 Ann has been a dear friend for many years, as we’ve both raised our kids and pursued creative careers as well. Our sons just graduated, but I know our friendship will long continue. Now the treat for you – I thought I’d share a bit of Ann’s work here to brighten your day. I’ll have her back for a real interview soon, but I wanted to whet your appetite. 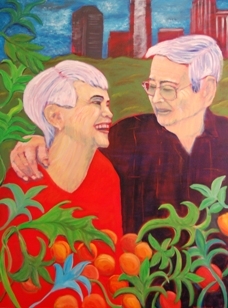 Ann began seriously painting in1999. She has studied under renowned painters including Roseta Santiago, David Leffel, Gregg Kreutz and Marc Chatov. 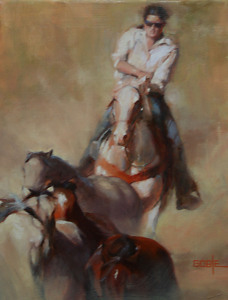 Her work has garnered numerous awards and hangs in galleries and private collections. The Boss – ©Ann Goble. All rights reserved. 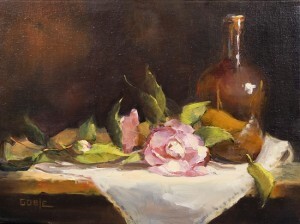 Camellia on White – – ©Ann Goble. All rights reserved. Amber – – ©Ann Goble. All rights reserved. Ann begins her artist’s statement, “Painting is for me a search for beauty.” I think you’ll agree she’s found it! You can learn more about Ann and see additional paintings here. 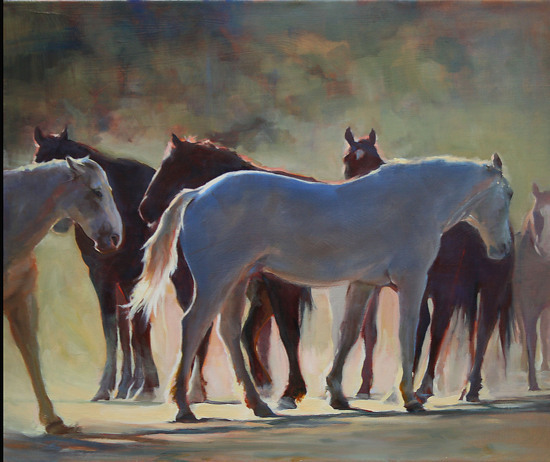 Horses of Los Cob – © Ann Goble. All rights reserved. But wait – there’s more! Ann’s mother, Ruth I. Money, is also an accomplished painter. (You know, the apple doesn’t fall…) Ruth and Ann have exhibited their paintings in the same shows before, and if you happen to live in north Georgia, you can see an exhibit celebrating both their careers. “Mothers and Daughters” runs until July 19 at The Bowen Center for the Arts. Click here for more info, directions, and images of paintings – and feel free to leave some love in the comments below. 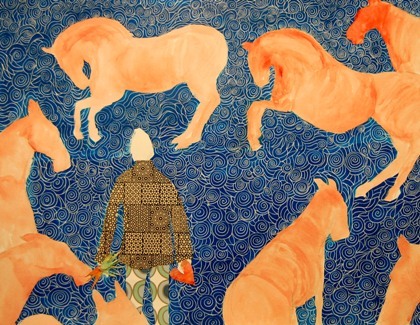 Art Break Wednesday: Painter and Illustration Contest Winner Beth Rommel! This past spring, I had the lovely good fortune to fall into a wonderful artists’ critique group. We met through our amazing SCBWI Southern Breeze region. I’ll share more about our small band in future posts (Beth Rommel, Kathleen Bradshaw, Prescott Hill, Paula Puckett, and yours truly). Beth came to see me at Mule Camp! Beth came to the Atlanta area in June 2011. 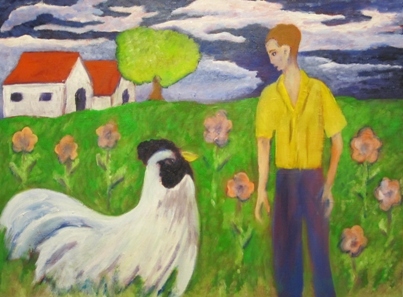 She grew up in Louisiana, and her work has been widely exhibited in Texas and the Southwest, and in Florida, where she later lived. Her work experience includes graphic design, editorial, production, public relations, and education. 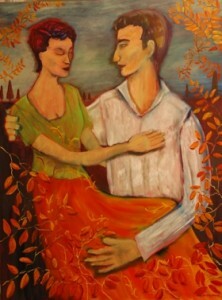 Now you can find Beth and her wonderful paintings here in Georgia! image ©Beth Rommel. All rights reserved. “PJ tried and tried to make friends with the horses.” ©Beth Rommel. All rights reserved. I am so surprised to have won this because as a painter my style is very different from traditional children’s book illustration, which I really admire. In coming up with a way to complete the prompt “P.J. 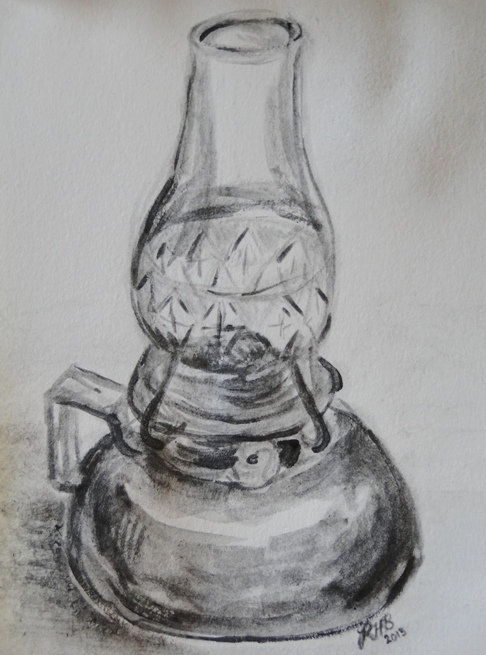 tried and tried” I spoke with fellow artist Prescott Hill who said he was trying to remember things he had done as a child. I was always doing something with horses in my childhood, riding them, showing them, trying to catch them in a field, make them my friends (carrots and apples always helped that process). Because of that constant contact their form is intuitive. It is well embedded in my Visual Catalogue, a term I coined recently. (I define it as a registry of the images kept in one’s mind. The images are derived from experiences of all descriptions.) I wanted to convey the feeling of being in a field surrounded by horses, some are friends, some are a little wild, some threatening, and others completely ignore you. This whole cast of characters I knew as a child. Wearing mismatched clothes was not an issue in the country early in the morning when all I wanted to do was get outside and get on a horse. In my dad’s big jackets or a flannel shirt I would walk the wet fields in Louisiana trying to track down these creatures and hope they wouldn’t run away before I could catch one for the ride home. I used a palette of mixed media: acrylic paint, white ink, collage papers on coldpress 140 lb. watercolor paper. The original is proportionally twice the size as the final printed piece as I work better in a large format. 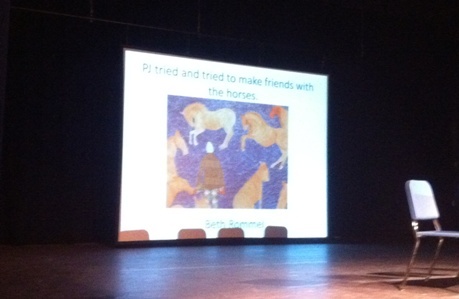 I have tried to imagine what it would have been like to see my horses on a large screen at the conference! I sure wish I had been there; thank you again for sending me the photo. I am walking on air. Thanks so much for this behind-the-scenes look, Beth! Here is a taste of some more of Beth’s vibrant works. These are all oil paintings. 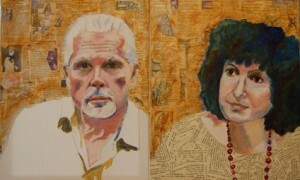 portraits: Co-Directors of the World Shakespeare Project. ©Beth Rommel. All rights reserved. Admired Woman. ©Beth Rommel. All rights reserved. Nancy and Andy. ©Beth Rommel. All rights reserved. The Big Chicken was Back Again. ©Beth Rommel. All rights reserved. Can’t wait to see what else Beth has in store. You can keep up with Beth at her new art blog, bethrommel.com. 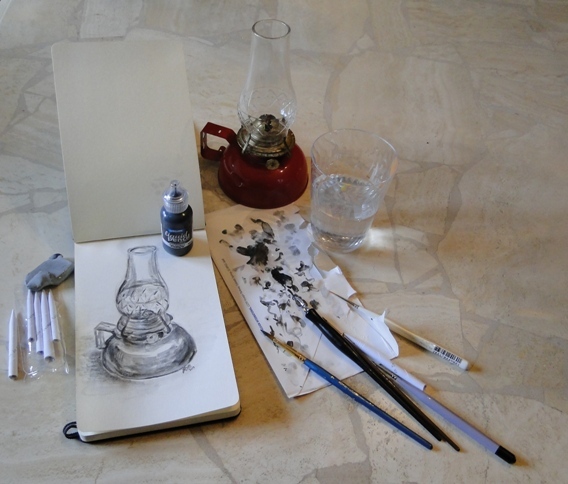 What feelings does Beth’s artwork evoke in YOU? Let her know in your congratulations in the comments!